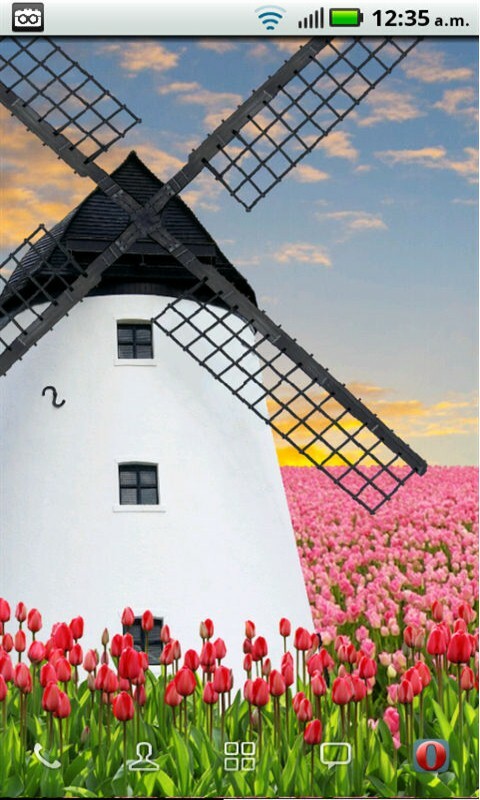 A beautiful field of flowers and an old windmill. 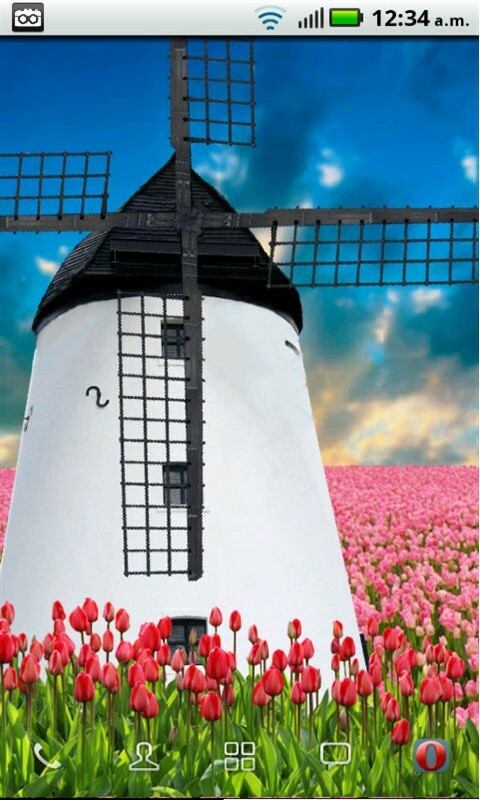 This animated wallpaper is free, supported by ads. 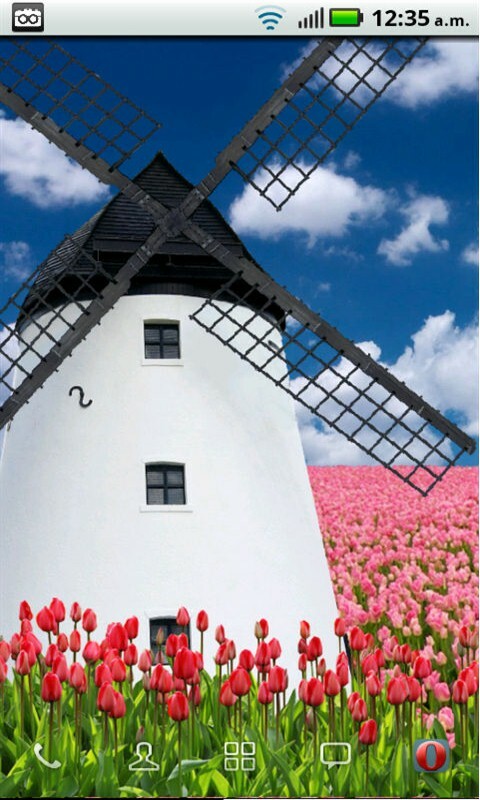 Displays a beautiful field of flowers and an old windmill with blades moving slowly. You have the option of sound activation. 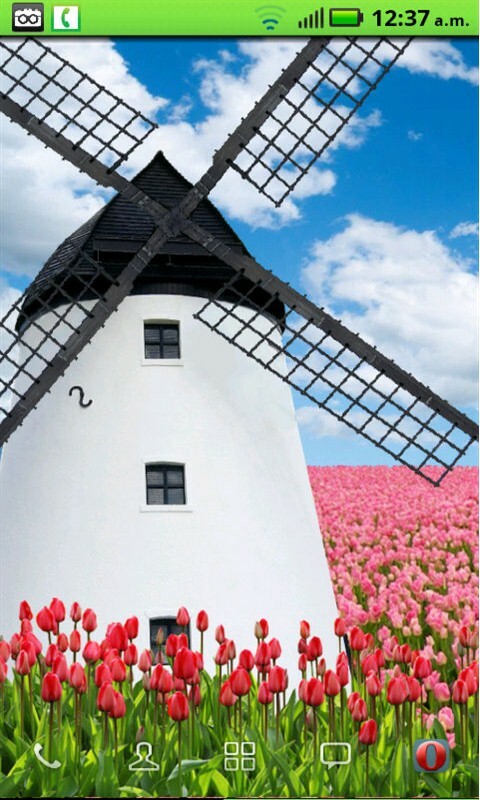 Just blow into the microphone of the phone to see how the windmill accelerates! If you like it, please leave us a comment. If you have an idea to make this wallpaper even more beautiful, please send us an email. Try it! NOTICE: This app uses ads in the notification bar (one ad every three days). Note that this being a free app, the only income that allows us to maintain and improve it comes from these ads. We appreciate it if you leave them on the application!